Our high quality DOT compliant car hauler straps and auto hauling tie down systems secure any vehicle for transport safely and easily. These vehicle tie down systems have been specifically designed to securely haul cars, vans, SUVs, light trucks or heavy duty trucks. A part of the Car Hauling Auto Transport community for more than two decades, East Coast Truck & Trailer Sales offers our exclusive premium car hauler straps as well as BA Products car tie down straps. Heavy Duty Cargo Strap w/ Swivel J Hooks | 16 ft. Car Carrier Hauling Strap with Double J Hooks | 12ft 12ft Auto Transport&nbsp;Car Carrier Replacement Straps with Double J Hooks, Tire Grippers, and Protective Sleeve &nbsp; WLL: 3,670 lbs. Looking into the proper vehicle tie down strap for your next auto hauling transport job? Our straps will help you haul any car or truck safely, effectively and easily. In addition to car carrier straps, towing straps and hardware we carry replacement straps for current ratchet straps. We have different types of ratchet straps featuring snap hooks, swivel J hooks, axle straps and E-track fittings. Tie down equipment includes items that will keep your cargo secure and safe. Transporter supplies such as; transport chain, load binders, winches, winch straps, ratchet straps, replacement straps, v-straps, cargo / tie-down or winch bars, e track straps and more. We also have heavy duty tie downs such as grade 70 transport chains, binders, 4'' ratchet straps or winch straps and replacement straps. We also carry light duty tie-down straps, ratchet straps, and e-track straps. 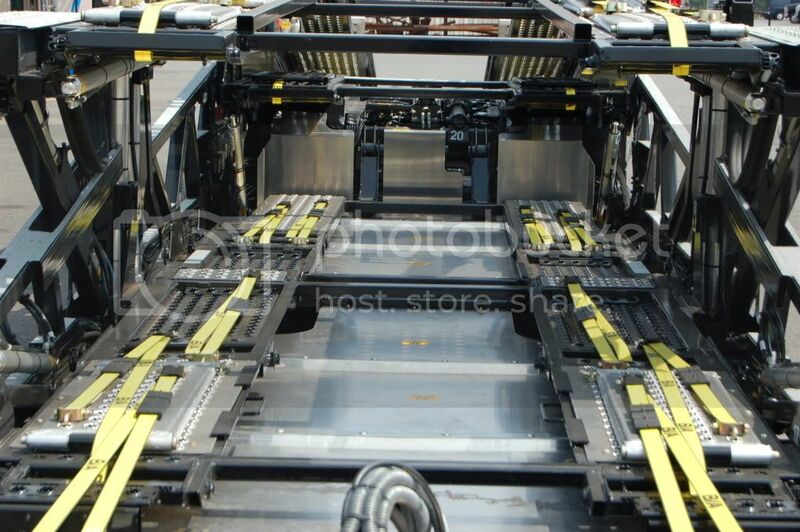 E-Tracks are used for box trucks or semi trailers. E track straps consist of regular straps with E Fittings. For over the tire operation, we have wheel bonnets or baskets and the newest styles of ratchet straps with rubber cleats that lock into the tire treads to keep your load secure. Auto hauling straps with rubber cleats have end fittings like double J hooks and swivel J hooks that fit into your star holes or pooch holes as well as securement points. East Coast has you covered with replacement hardware and fittings. Check out our many different styles of ratchets and end hardware from swivel J hooks, wire hooks and snap hooks that will help repair any worn or damaged strap assemblies. Don't forget to check out our entire line of ECTTS Heavy-Duty Replacement Straps and Tie-Downs. Which Type of Tie Down Strap Should I Use? 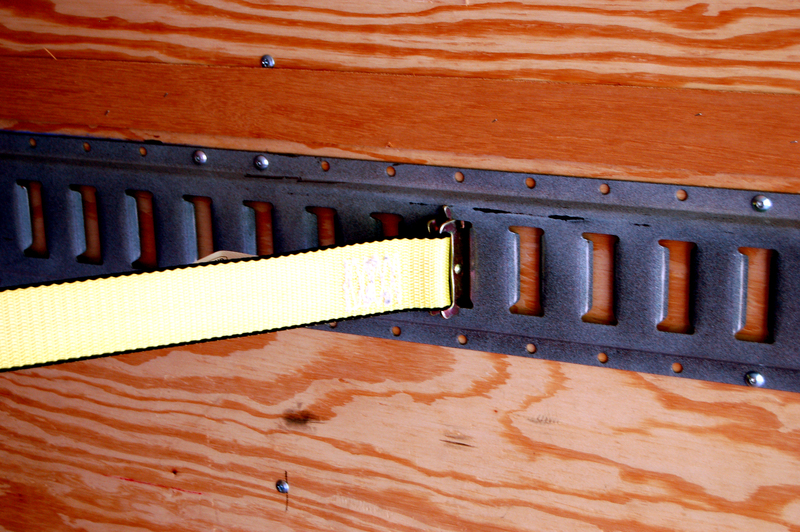 When securing your cargo use a flat hook strap that connects to your flatbed. The other strap end is pulled into a truck or trailer winch that has either been welded or bolted to the truck / trailer body. If your winch is welded onto the flatbed you will not experience as much flexibility as you do with a slider winch. After this you will need to add ratchet straps to help fill in the load where where the load is not secured. East Coast uses the highest quality ratchets and heavy-duty tie down webbing in the industry. Ratchet Straps or Logistic Straps for L-track and E-track systems are available in a variety of sizes and styles. We have something for almost every type of tie down application. Used mostly for flatbed trailers, enclosed trailers, moving trucks as well as many other types of trucks and trailers. Standard locking ratchet strap assemblies are made from heavy-duty, polyester webbing. Our car carrier straps are extremely strong and have very little stretch, to help keep loads secure.All of our auto transport straps are labeled with the working load limit (WLL) and meet all DOT and state requirements. E Track & L Track Ratchet Straps - E-track ratchet straps are 2" wide and are usually available with either cam buckles for pull tight execution or with a ratchet. Replacement Straps - Replacement tie-down straps are a great way to give new life to your old, worn and damaged assemblies. There are 2 main styles of Replacement Straps: First is a bolt loop end with a hook or chain extension on the opposite end and second is the ratchet end with hook or chain extension on the opposite end. Either of these work great when you need to replace just one end of your current tie-downs.